Non-toxic, deeply detoxifying & alkalizing dietary suplement from Earth Clay that can be used externally & internally to rid body of toxins such as heavy metals,ammonia and other harmful chemicals and environmental substances. Holds negative charge and will bond with toxins for safe and effective removal. Healthforce Vitamineral Earth supports blood sugar, colon, detox, immune system, liver ,kidneys, blood, bones, regularity, circulation, & longevity. Extremely potent and comprehensive of Nature's most nutritive and cleansing superfoods. Full spectrum of naturally occurring, absorbable and nontoxic vitamins, minerals, all essential amino acids (protein), antioxidants, chlorophyll, soluble and insoluble fibers, tens of thousands of phytonutrients, and a plethora of other synergistically bound, organic nutrients. Sacred healing food. Vegan earth health compassion. Healthforce Vitamineral Green V5.2 contains no synthetic or isolated nutrients. All ingredients are optimally dried for maximum lifeforce. Magnetically sanitized and purified. Read the 143 positive reviews. Many report joint pain gone after use. Note from Vicki: I take these and I can feel the difference immediately. I add with juice and it taste good. I recommend these because of the low cost in comparison to the health benefits they provide. David Crow, master herbalist, aromatherapist, acupuncturist, author, expert in Chinese and Ayurvedic medical systems. I attended the Grassroots Healthcare in Calveras with David Crow and learned so much. It was a real eye opener to see how plants and trees can heal us in so many ways. And it makes sense, that since we are internally connected to the plants & trees, that these magnificent, independently and vastly intelligent species, were created with the capability and power of bringing us human beings back to health. Come out to these events and learn how easy it is to grow and use the plants. You can connect to Grassroots Healthcare Network of CA and Beyond on Facebook. Find a gardening co op in your neighborhood. Check it out on MeetUp.com or maybe on Craigslist.org. 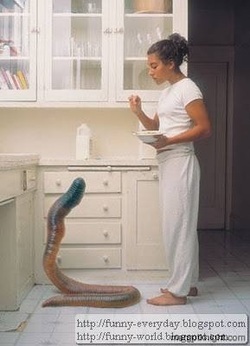 Have you ever wanted to have a worm farm? Now you can with these easy instructions from Dehon Joubert. The kids will love it as much as you will! Click here for how to do it. SelfGrowth.com is the most complete guide to information about Self -Improvement, Personal Growth and Self Help on the Internet. It is designed to be an organized directory, with articles and references to thousands of other Web Sites on the World Wide Web. Click here to view their website. Share Your Gardenning Adventures Below- I'd Love to Hear about it.